Choose an aspect of the curriculum with which you hold a passion. Choose an online tool with which you feel comfortable or ‘clicks’ for you. Steer a simple, straightforward path at the outset. Timing is also important… Choose a sane time of the year when you will be able to make the time to tinker with the technology. As I mentioned these ideas apply to any technology based curriculum integration, not just Web 2.0 technologies. Why do I give this advice? By following these simple rules of thumb a teacher new to technology will be able to gently ease themselves into the process. Being familiar with the curriculum component enables the teacher to focus on the implementation and the technology. Selecting a technology that they are comfortable with serves to ease the burden with the actual implementation. A simple beginning provides a a practical and commonsensical framework for the implementation to be effected. I base this on experience, pure and simple. It may not have been Web 2.0 but back in 1992-1993 the tool that clicked for me was Apple’s HyperCard. 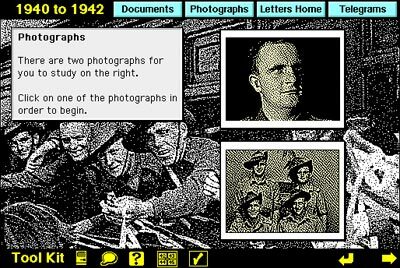 I was given a quick demo of HyperCard by Professor John Hedberg, during a promotional presentation for a new course being offered by the University of Wollongong. John was teaching at the Faculty of Education at the university and he was a member of the famous Interactive Multimedia Learning Laboratory. John is now Professor and Head of the School of Education at Macquarie University. I chose an area of the curriculum that held my passion. The Pacific War. In particular the topic on Australian prisoners of war. My late father, Francis Xavier Larkin Snr, had been a guest of the Imperial Japanese Army (IJA) across various parts of Asia from January 1942 through to August 1945. My father had shared with me his letters, photographs, relics, maps and other documents from that period. This was an area that fascinated me, personally and professionally. I created a curriculum matrix at the time in order to ascertain how technology could be best applied to achieve the desired learning outcomes. I scanned the documents using an Apple Scanner, a Mac Classic and a HyperCard stack that acted as the interface. 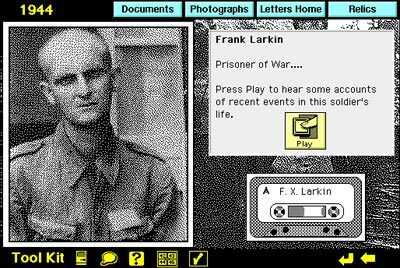 I created a HyperCard stack that incorporated the documents and my father’s recollections that I had recorded on to cassette tape and then later digitised on the Mac. I then bought a Mac LCIII later. 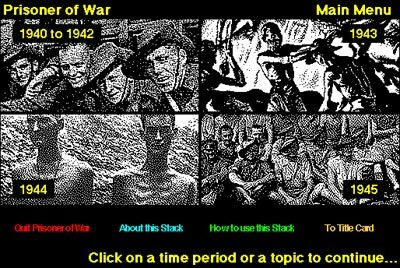 The HyperCard stack consisted of a navigation determined by chronology and document type. Clicking on the play button allowed the listener to hear my father’s thoughts regarding the photograph. I actually racked my brain repeatedly for a topic that I could use as the foundation for my first HyperCard stack. Various topics crossed my mind. One evening when I was going through my father’s relics it dawned on me. My father’s wartime experiences were the perfect topic. I had an interest in the topic and by scanning the letters, relics and photographs and by creating the stack I was able to share the relics with the students without fear that the original relics would be lost or damaged. The students could access the materials on the server via the stack. It was a great solution. As I posted recently I have since created a web site that feature my father’s belongings. First of all I did some investigation. I began with a simple Teacher~Class blog in which problems and questions were posed by myself and the students responded via comments. I utilised Blogger as the tool. I utilise WordPress now. I am notified of each blog post via a RSS newsreader and email. Comments will come to me via email for vetting. Just for now I just wish to see the students enjoying the process of creatively writing via a different medium. They understand why I have set up these safeguards. 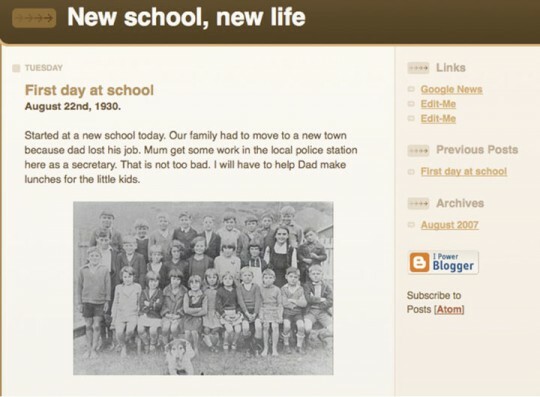 The students began their blogging with mixed results and about a dozen have really sunk their teeth into the project. many of the students have only made one post. Squeezing this project within the normal programming of the subject is challenging but I am getting there, gradually. I have added some screen shots below. Blogger served the purpose at the time. I much prefer self-hosted WordPress sites now. Better management. WordPress has an edge on Blogger in terms of quality and versatility. 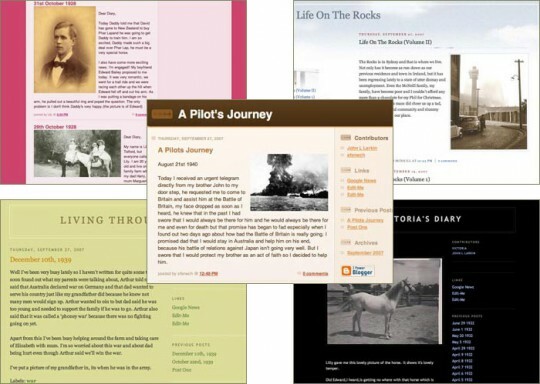 WordPress, and blogger, have made web publishing available to the masses in the same way that HyperCard facilitated multimedia creation and programming for the masses. If you are interested in exploring these tools and ideas further there are guides available for download at the foot of this page, posts about a variety of tools on my technology page and additional resources and links available via each workshop page. You can also check out some of the blogs and news sites that I read on a regular basis. Twitter ~ to connect with other educators using hashtags like #edchat, #edtech, #esl, #tesol, and so on. I am not a big fan of the term “Web 2.0”. It is dated. The term had a use by date as soon as it was coined. Too much hype associated with the term. In conclusion, what steps have you taken in the past? What steps will you take in the future? Please share them below if you wish by adding a comment.